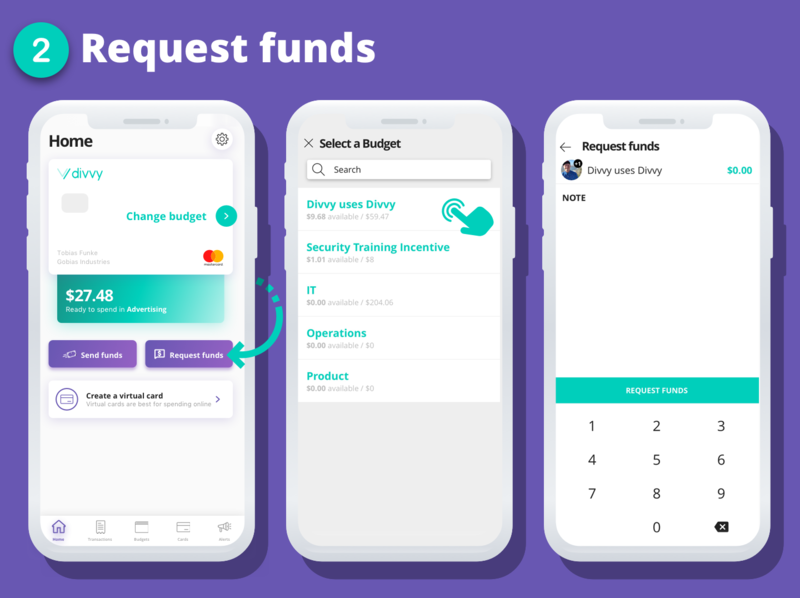 If you're new to Divvy, or looking for a quick refresher, the 4 steps below will get you spending in no time. 1. 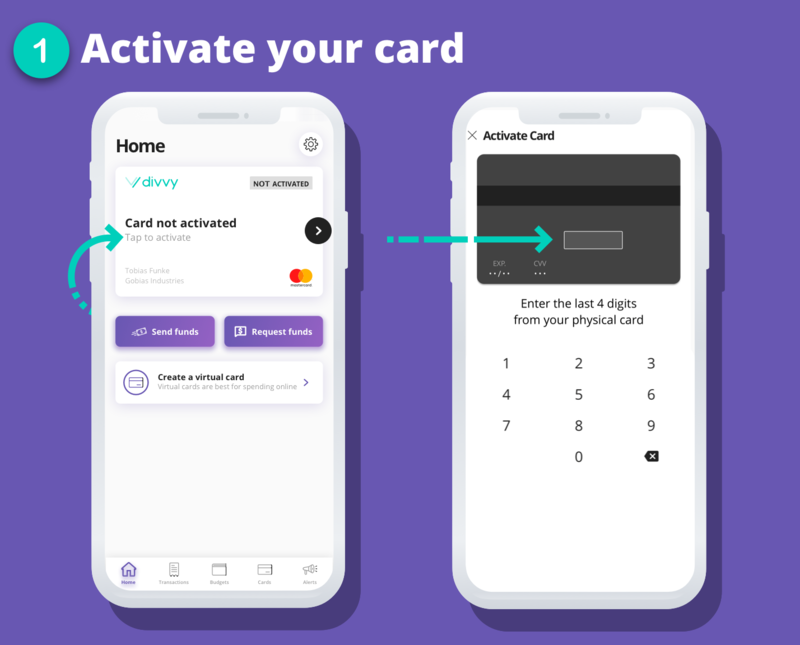 After you've received your physical card, you'll need to sign into the Divvy app from your phone to activate it. Once you've signed in, tap on 'Card not activated' and enter the last 4 digits from your physical card to activate it. 2. To start spending, you'll first need to make sure you've been added to a budget and have enough funds. If you've already been sent funds or had a funds request approved, you can skip this step. Press Request funds and follow the steps above. 3. 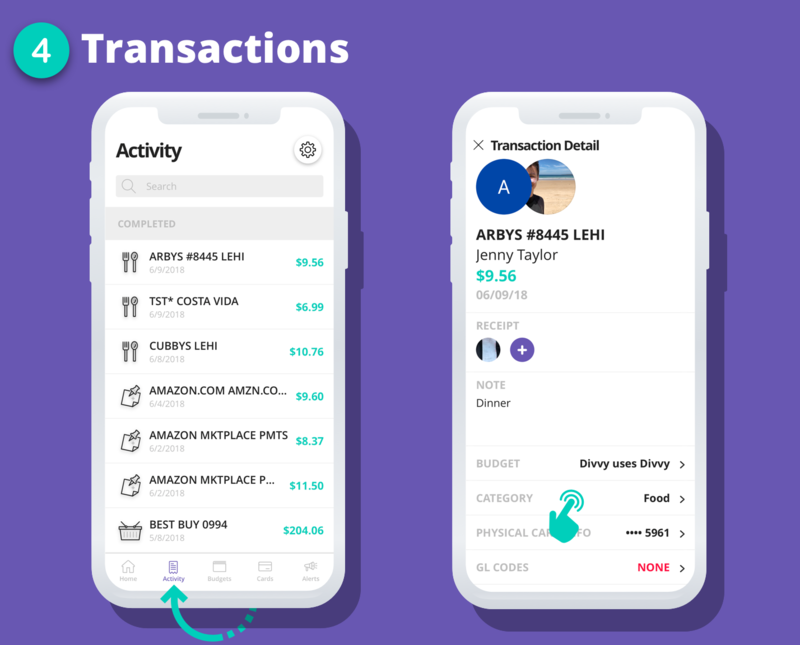 We've made spending with Divvy simple. 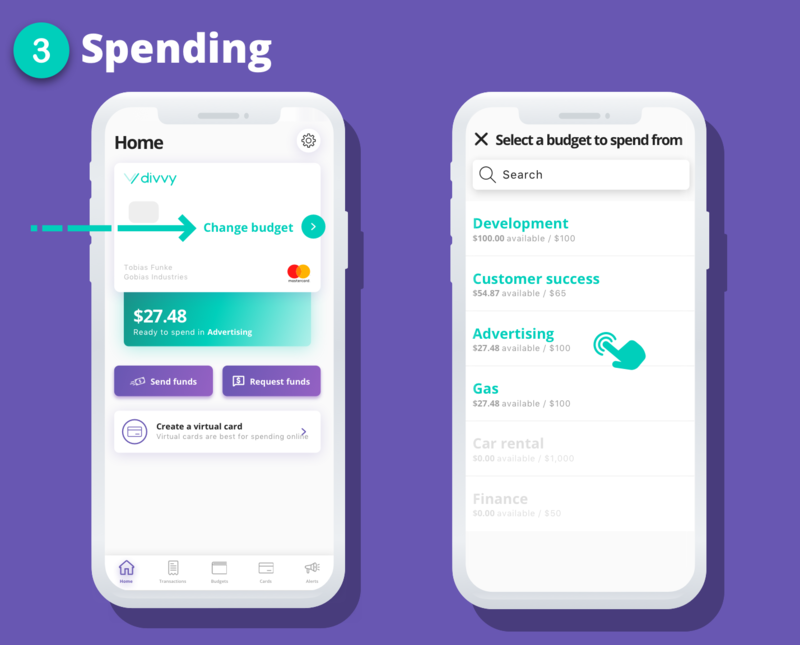 Tap on 'Change Budget' and select the budget you want to spend from. If you don't select a budget before swiping your card, it will automatically pull from the budget with the highest funds available to you. 4. Once a transaction goes through you can then categorize it, attach a receipt, and add additional info. This can be done from the 'Activity' page on your mobile app. For more help, including how to use virtual cards, or tips on managing budgets, check out our help center. If you have any questions or feedback, please reach out to us by using the purple chat button on the web, or the 'Ask us a question' button from the setting page in the mobile app.